The industry is not quite the same as it was just a few years ago. You’ll want to be aware of some current industry trends before you jump in. 1. The success timeline has expanded. 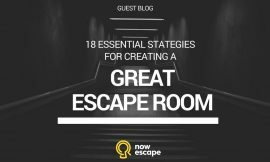 With more and more entrepreneurs entering the escape game industry, your success depends more on long-term stability than novelty. The key objective has shifted from being the first and only room escape venue in town to building an escape room business that can remain competitive for as long as possible. 2. Customer expectations are evolving. Not only are today’s escape rooms built to last, they’re designed to meet higher customer expectations. Customers are no longer satisfied with the low-budget games that wowed audiences just a few years ago. Escape games today contain high-quality sets and props, and today’s puzzles are more likely to rely upon advanced technology. 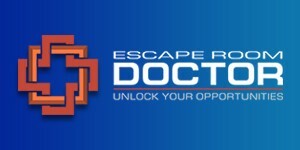 Thus, you may find that to be successful in today’s escape game market, you’ll need to invest in a professionally designed, high-tech adventure for customers to immerse themselves in. 3. Startup and operating costs have increased. Gone are the days when a thrifty entrepreneur could construct a successful escape room on a shoestring budget and almost instantaneously earn back his or her investment. As the quality of escape rooms has increased, so has the cost to design and build one. This doesn’t mean that you cannot experience great success in the industry; it simply means you’ll need to invest more up front and wait longer to see your investment returned. 4. New formats are giving the industry a makeover. Virtual and augmented reality, mobile quests, performances, action games, and a variety of other innovative gaming formats are adding fresh dynamics to the market. Is one of these new gaming formats in your future? Learn more about alternative immersive entertainment formats in 10 Escape Room Alternatives to Launch Your Business Into the Future. With these trends in mind, here is a list of 14 basic steps all business owners must complete in order to open a new escape room business. Before you do anything else, you’ll need a thorough business plan. Do not take shortcuts on this step. Yes, it’s the most boring step in the process, but it’s also the most important. On average, you want to make sure that you have established a budget and operating plan that will get you through three to four years before your initial investment pays off. If you can stick it out through these first few years, you have an excellent chance of staying in business and making money for a long period. Many business indicators depend on the specific city where you are going to launch your escape room. Take into account all factors when making decisions. Your goal is to appeal to and accommodate as many visitors as you can while you gain a following. You can do this by offering the maximum number of games possible. SWOT stands for Strengths, Weaknesses, Opportunities, Threats. When you perform a SWOT analysis, you evaluate each of these areas as they pertain to you and your business plan. The idea is to define all the internal and external factors that can influence your success. What previous successes have you been integral in executing? What personal or business experience do you have that will help support your success in this particular venture? At which areas of escape room operations (puzzle design, construction, technology, marketing, customer service, bookkeeping, web design, etc.) 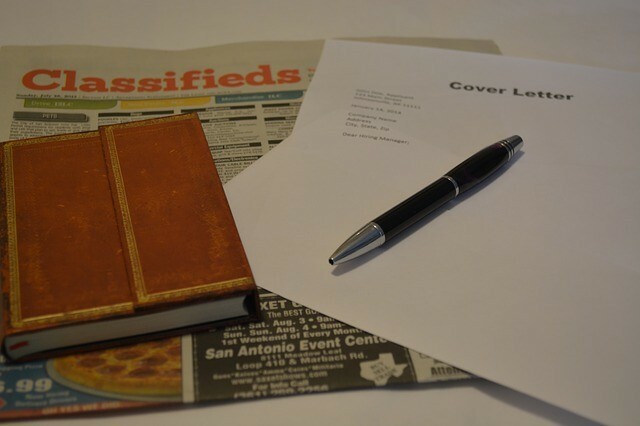 are you experienced and skilled? Which areas of escape room operations do you enjoy? What liquid assets or sources of funding do you have available for startup and operating costs? What kind of support can you expect from business partners, friends, and family? In which areas of escape room operations (puzzle design, construction, technology, marketing, customer service, bookkeeping, web design, etc.) are you inexperienced or less skilled? Which areas of escape room operations do you not enjoy? Have others pointed out weaknesses in your business plan that you were unaware of (this may be an indication that you haven’t spent enough time evaluating the opportunity from all angles). Are escape rooms a popular form of entertainment in your area? How is your business model different or unique compared to other escape rooms in your area? What do the other escape rooms in your area do poorly or what features do they fail to provide? Is there a target demographic that escape rooms in your area are currently ignoring or failing to serve? How can you leverage today’s technology to offer something unique? Are there local incentives you can take advantage of to help you get on your feet? Is there a gaming format (VR, gaming arcades, etc.) that has yet to be introduced to your market? Finally, spend some time listing external threats to your success. How many other escape game businesses are operating in your market already? How is your business model similar to other escape rooms in your area? What do the other escape rooms in your area do well? In most countries, you’ll need to set up a legal business entity to run a business. Every area has its own laws regarding business ownership and the fees and taxes involved; it’s best to get professional legal advice for this step. This step will take some time. You can work on other steps in the process while you wait for approvals. By the time you actually open your new business, you want the people in your market to be aware of it. The sooner you have a strong web presence, the better. An attractive, mobile-optimized, user-friendly website is a necessity today. 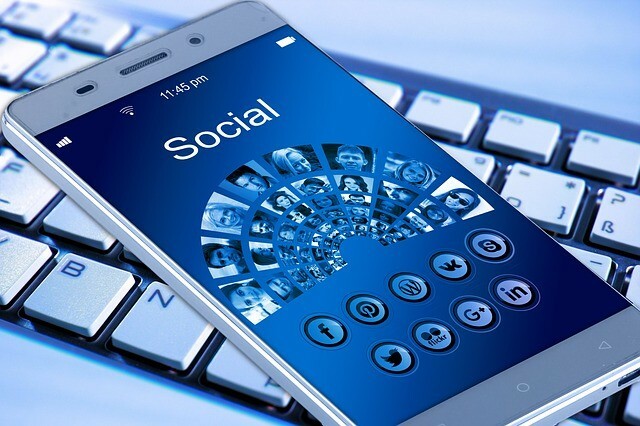 You can publish a “coming soon” site right away and work on building out the rest of the site in the background while you gain visibility through social media engagement. Don’t be intimidated by the idea of creating your website. 4-Point Checklist: Escape Room Website Design provides the tips and guidance you need to get started. This step may be performed multiple times; every time you add a new adventure, you’ll have to go through the planning, designing, and building steps. The theme (or genre) is the overall type of story you’re telling (spies, science fiction, ancient Egypt, etc.). It is the background for your scenario, which you’ll write next. You may already have an idea in mind of the type of story you’re interested in telling. If you’re purchasing a ready-made escape room from a vendor, you may be given a catalog of potential themes to choose from. Either way, do not choose a topic solely because it appeals to you. It’s easy to lose sight of your target audience and choose a theme based on your interests instead of theirs. 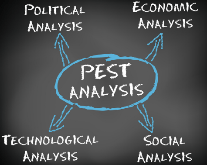 One way to avoid picking a no-win scenario is to explore your market with a PEST analysis. PEST stands for Political, Economic, Social, Technological. Political. It may be considered bad form to open a room with the topic “neutralize the bomb” in a city that has recently suffered terrorist attacks. Economic. Obviously, you have to take your budget into account when considering room scenarios. 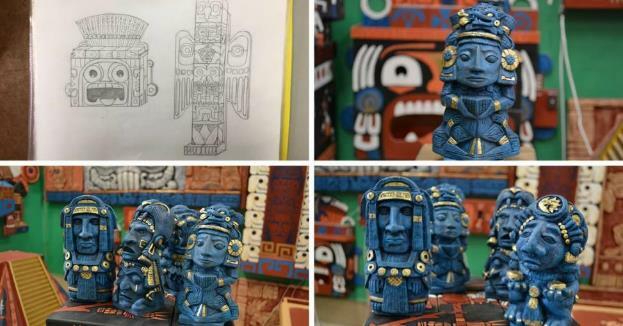 Set decorations, props and puzzles for some themes are much easier to find or fake than others. Social. Who is your target audience? Analyze what rooms, cinemas, game clubs, sports clubs, and other child and family entertainments are popular in your city. Additionally, look at the rooms that are already available in your area; if all of your competitors operate horror escape rooms, you probably want to offer something different. Technological. Be realistic about the technological capabilities in your budget and location. A science fiction scenario might require more high-tech elements than, say, a prohibition theme. If you’re opening your business in a basement, you might want to avoid scenarios that require adding extra exhaust vents or drainage for running water. Once you know what your theme is, it’s time to write the scenario. For each room you plan to offer, the scenario is the most important consideration. Without a strong scenario, you have no escape room. If you decide to hire a game designer or buy the script for an existing room, this step is easy. Find a company you like and jump to Step 7. If you want to write your scenario yourself, keep reading. 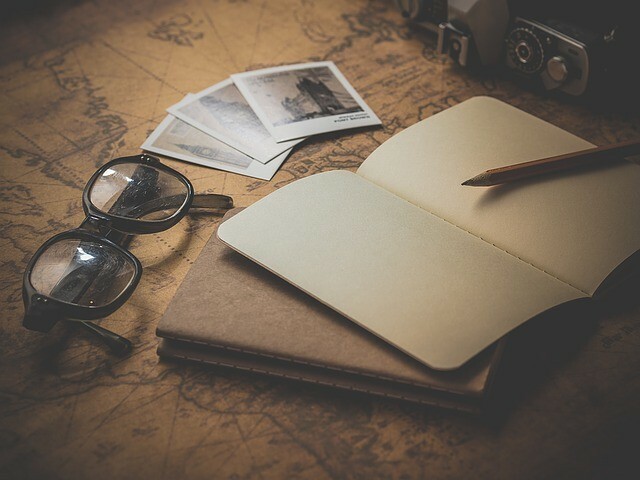 Writing the scenario for an escape room is like writing a story you plan to bring to life. A narrative that includes a backstory to be shared with players by your game master before the game begins (this explains why the players are in the room in the first place). An intriguing and urgent mission; this is the overall goal that players need to achieve to finish the game. It should be logical within the theme you’ve chosen, urgent within your imaginary scenario, and interesting enough that players will be excited about pursuing it. A clear and logical ending. It should be clear to players that they have reached the last step in their journey, and they should feel extraordinarily triumphant when they complete the final task. Your escape room should contain two or more rooms. Each room provides new emotions and a continuation of the story. Remember that players damage escape game sets and props, so keep durability or easy replacement in mind when planning out your room. This number depends on a lot of factors, but if you consider that on average, a team will spend 3-4 minutes solving each puzzle, you’re giving players a reasonable chance of escaping within the time limit. Make sure you include a variety of puzzle types: cooperative, logic, searching, physically active, composite, etc. Try to reduce the amount of text in your game; nobody likes to read a lot when playing an escape game. Think through the logistics of how each puzzle will work. There are a lot of good and fresh ideas that could really heighten the immersion in your room, but some of them, like flying objects, ferromagnetic liquid, water, fire and other special effects, could pose a hazard to your room or your guests … or put you way over budget. Do not make the puzzles too difficult. Your players want to challenged, but not frustrated. Let them escape (in my opinion, people must win for emotions they have already paid for). Every scenario MUST have at least one WOW element – this could be an impressive set piece, a puzzle that surprises players, a really cool special effect – make sure you include something that players will still be talking about days later. Learn more about choosing the right music for your escape room in Escape Room Music: Adding Another Dimension to the Experience. Once you’ve written your scenario script, don’t overthink it. When you start building your room, you’ll need to be flexible enough to make changes where needed. Read over your script and search for weak points and make adjustments. It’s recommended that at this stage you share your scenario with two or three escape industry experts, preferably some who have designed or opened successful rooms of their own. Let these experts read it and provide suggestions (it is even better if you discuss the script before writing, so people can give you brilliant ideas that you didn’t think of). If you don’t have experience in escape-room building, you may find it difficult to make sure you’ve planned for every contingency, which can add time to your project. Since you don’t start making money until your business is open and bringing in paying customers, you will definitely want to consider the cost of time in your budget. 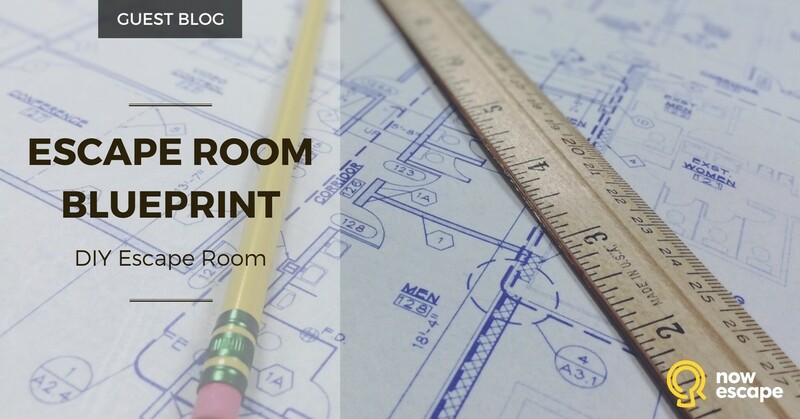 The best way to renovate a room with minimal expenses is to go in with accurate blueprints, a wiring scheme, a full set of schematics, and detailed design sketches. If you’re properly prepared, you will easily do it on the first try. You won’t need to bear the costs of corrections in the future because everything will be done according to the verified plan. Unless you plan to do all the construction and engineering yourself, this is the point where you should probably share your plans with a team of professional designers and contractors who will bring your room to life. Your task is not just to transform the script into reality. It is important to integrate a unique environment into the game, so players are transported into a different world. Your decorators, prop builders, and sculptors are the ones who imbue your escape room with ambience. It’s your job to show them what you see in your head. 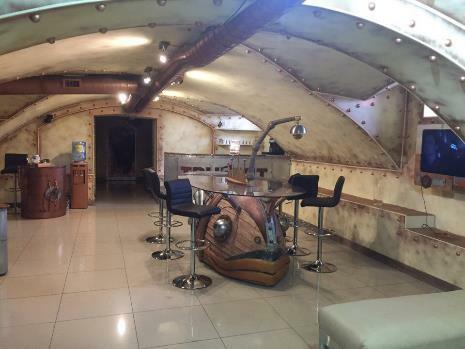 Here is an example of one way to design your room’s overall style using a steampunk theme. First, search for movies, TV shows, and games within the theme (location, historical period, etc.) you’ve chosen for your room. Next, spend some time absorbing the references you’ve chosen, writing down key elements of the genres and storylines. Then draw (or use a computer program to create) a simple floorplan for your room and basic drawings of key set pieces, props, and puzzles. You can give these, along with photos from your sources of inspiration, to professional designers. They can use them to make 3D renderings and design sketches for you to approve before actual construction begins. You can do the same for your engineers. 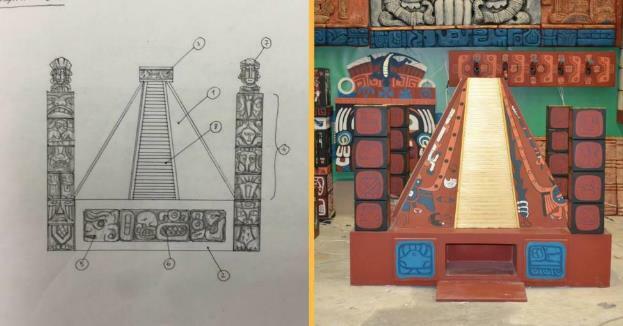 You may not know exactly how the mechanics of a puzzle will work, but you can provide a drawing and a clear explanation of its functionality. 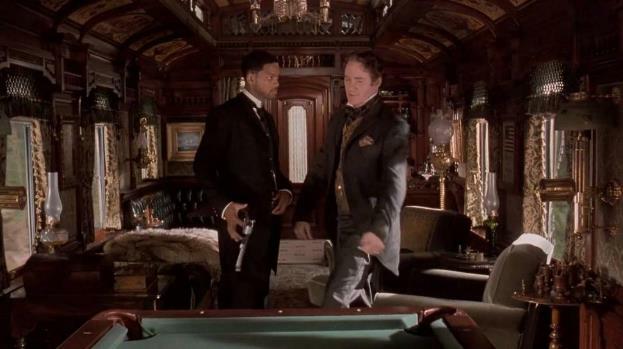 Say you wish to model your steampunk escape room after the 1999 feature film, Wild Wild West. After watching the movie, you choose a train, cool gadgets, a giant spider, and a decapitated head as your primary thematic elements (don’t forget about your target audience, though – if you’re planning a family-friendly escape adventure, the decapitated head might be a bad idea). You might envision a puzzle built into a table in the middle of the first room. When the previous riddle is solved, the table switches on, so that the opaque glass under it becomes clear, and players can see a giant spider on the other side. On the table, players can now see a maze and a series of holes for valves. Players must remove a bullet from the maze using a magnet and switching valves. Finally, you can include pictures from the movie to help your designer visualize what you have in mind. Your designers can then come back with more detailed design specs. A computer-built rendering like this helps you envision the space in three dimensions. 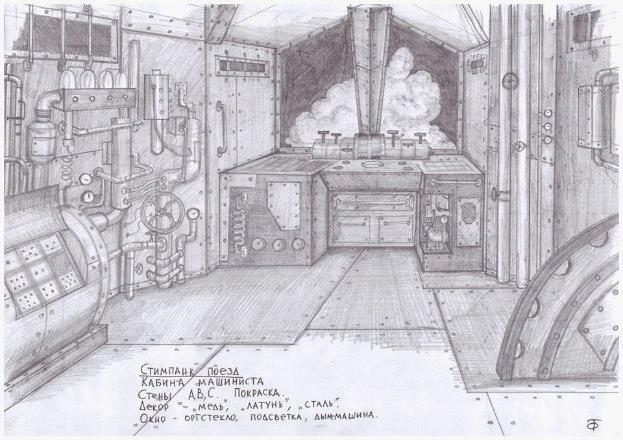 In designing a steampunk train, a drawing like this helps establish the use of space, the atmosphere, and the style. Remember that SWOT analysis you did in the beginning of the process? Unless you are extremely handy and skilled in multiple disciplines, it is likely that you have weaknesses in some of the areas necessary to build your entire escape room from the ground up by yourself. You may be great at construction but lack the electronics expertise to build technological puzzles. Or you may have terrific design skills but need outside help when it comes to the actual building. 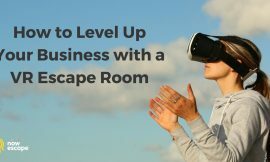 A variety of professional contractors and companies provide escape room planning and building services to help new business owners get up and running faster. Some vendors sell scenarios, blueprints, and puzzle designs, but leave you to build your room yourself. A professional script writer can plan out the narrative and sequence of puzzles for you. 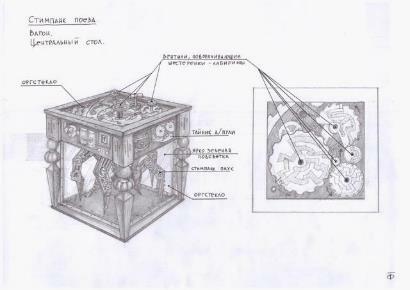 Professional designers can make sketches and blueprints based on your initial notes and example photos. 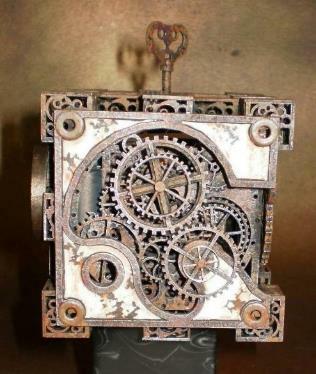 Professional engineers can sketch out and craft gadgets and puzzle props. Engineers who work exclusively in the escape game industry understand the importance of integrating “life into furniture” and programming objects to interact with players when specified triggers occur. Some contractors will provide the carpentry skills and labor to build your room if you can supply detailed plans. Escape room builders have targeted expertise in construction techniques that hold up to the wear and tear of customer abuse. 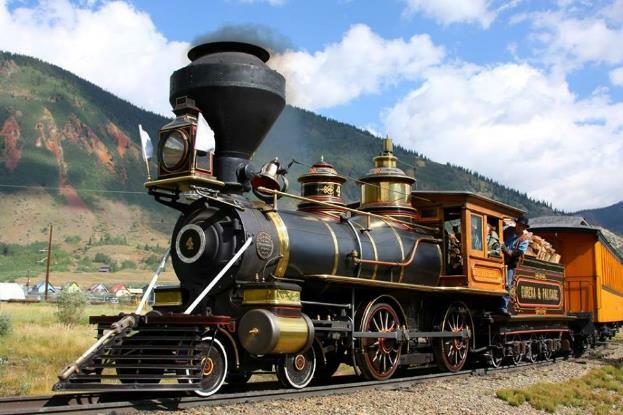 They know how to design and build sturdy structures, seamless secret doors, and compartments that look like part of the set but actually hide electronics and other mechanisms. The props and furniture you use in your escape room can also be purchased from escape room experts. Professionally made escape room props are generally constructed from durable plastic, metal, or wood, even if they look like other materials. Depending on the amount of time and effort you’re willing to spend, you can shop around and purchase each individual element from a different supplier, but buying props one by one from different retailers may cost you much more than you’d spend hiring a single vendor to build custom versions for you. 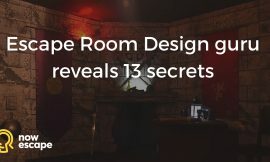 If you’re certain you’ll need to rely on professionals for some, if not all, of your escape room design and build, make a list of exactly what you know you can do yourself and what you’ll need help with. Then evaluate companies based on which of those services they provide. If you order a ready-to-use escape room from a manufacturer, you will get everything you need in your package. If you decide to hire several manufacturers to perform different portions of the work, you may find you spend a lot of time and money coordinating their work and trying to get everything to fit together. This should show you exactly where every piece of furniture, décor element, prop, and puzzle goes. This means you get both the furniture and the programmed electronic devices that make the puzzles work. Some manufacturers supply one or the other, but not both. 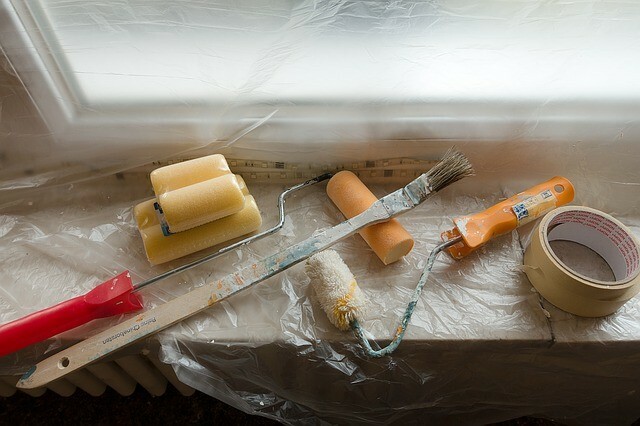 A good manufacturer should leave only painting the walls on your to-do list; all other décor should be included. Some manufacturers also provide promo materials to help you market your room in both digital and print media. How long has the company been business? How many escape rooms has it built? Does the company do anything else besides building escape rooms? Does the company manufacture elements itself, or does it buy second-hand escape rooms and refurbish them? Does the company install the electronics in custom-built furniture, or do they sell you only the electronics, which you must install in furniture you’ve purchased elsewhere? What escape rooms has the company built, and what kinds of reviews do they receive? Don’t just talk to the company. Visit some of the escape room businesses that have used its service and speak with their owners. Collect recommendations. The right location for your escape room business will be dependent upon your city and your competition. Generally, though, locations in a city center or other high-traffic area are most popular. Since escape rooms don’t typically get walk-in business, you don’t necessarily need a high-profile storefront, but you do want to consider parking and accessibility. You might also wish to have a strategy in place if you plan to open additional escape room facilities later on. In addition to the actual physical location of the building, you’ll also want to make sure you select a property that facilitates your unusual construction needs. Restroom facilities, heat and air conditioning systems, fire alarms and sprinklers, TV/IP/Internet bundles, etc. Waiting area walls, flooring, décor, check-in desk, etc. Before any of your immersive décor and mind-bending puzzles can go into your space, you have some prep work to do. One of the most important steps is to make sure all the wiring you’ll need is accessible. Most escape room puzzles are low voltage, but you’ll also be installing cameras, basic lighting, and other technology. You will definitely need to consult with an electrician to make sure that all legal and room-specific requirements are observed. Working from a detailed wiring scheme will save you headaches down the road. And just in case you decide to add a new puzzle or change the room layout later, provide space and access for additional cables, electric power supply, and lighting in the walls. Additionally, before starting to build, make sure such elements as ventilation, HVAC, fire safety systems, Internet, and CCTV are in place. Your room should look like the environment in your scenario, so vents, cameras, speakers, and other practical elements may need to be hidden somehow. The building materials you use are also important. For example, one layer of drywall between rooms won’t suit for hanging something heavy. If you have an Armstrong ceiling, try to think how it can be decorated according to the escape room theme. For example, white tile is absolutely unacceptable on a pirate ship. You may also have to consider special requirements, like access for disabled customers. Doors must still meet regulations even after you decorate the entrance and exit. It is also important to note that in some countries, it is required that a prominent safety button must be installed that will unlock the door in an emergency. In other countries, you cannot actually lock players in at all, and in some the door must remain open. By now, you should have every part of your escape room planned down to the tiniest detail. If you do, this step should be swift and uneventful. You won’t find furniture for escape rooms in regular shops. For example, furniture from Ikea won`t stand up to customer use for longer than a month. Your furniture should not only fit seamlessly into your theme, it must also be as durable as possible. To build sturdy furniture that can endure repeated customer use, it’s best to rely upon qualitative materials and good professional builders. When professionals build furniture for escape rooms, they use solid plywood with qualitative drywall screws. This is covered with eco-friendly, water-based primary paint and wood glue. Then the paint is fixed with the varnish (Indestroom uses parquet, matt, or glossy varnish). To make the furniture as solid as possible, solid wood or metal elements are inserted in it. All fixing, metal plates, and corners are hidden. Then, to add even more durability, metal plate corners and dowels are added and hidden from players’ eyes. Patterns on decorations and furniture may be additionally fixed by decorative finish joints (“invisible” nails). Then the wood is covered by two to three layers of a special coating that makes it less flammable and more smooth in preparation for painting. In some locations, it may be difficult to find a professional artist or decorator who understands how to design a fantasy space. You may try to find one on your own, or you can contact an escape room decorations manufacturer that hires decorators who understand the industry. 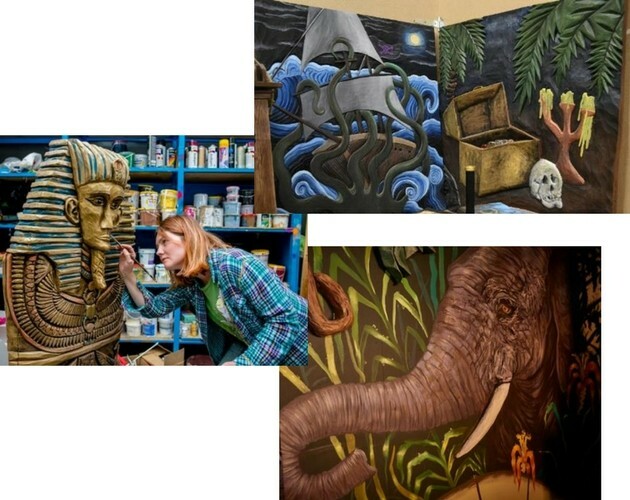 Professional escape room decorators can create three-dimensional shapes in your walls to add the illusion of space and reproduce the texture and patterns on the furniture to make everything blend together. The most important and difficult step is engineering. You can’t surprise experienced customers with keys and locks. 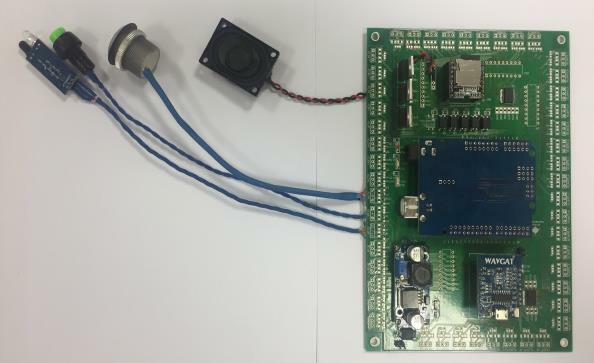 That’s why when creating a good escape room, it is important to use electronic props with motion detectors, sensors, RFID tags, and other high-tech mechanisms. This work is usually done by software developers, robot technicians, programmers, smart-home system creators, and other technologists. Unless you have a high proficiency in these domains, it is recommended that you work with engineers who are familiar with escape room technology. It’s not enough to build nice looking props; you have to make sure the mechanisms, sensors, magnets, and other technology inside them are reliable. It’s not difficult to find companies that claim to be escape room specialists. At the moment, more and more escape room and gadget manufacturers are appearing on the market. But you don’t simply want someone who knows how to insert electronics into furniture or set pieces. You also need fast production time, spare parts, reliable long-lasting components, and warranties. If you wish to save money and time and avoid any concerns, you may want to stick with large companies that have been around for a while. You’ll be the one working with the technology day in and day out, so it’s best if your engineering team can teach you to connect the devices yourself or with the help of one person with basic knowledge in electronics. Professionals who build ready-to-use rooms can offer high-tech engineering solutions that have been proven in practice. Additionally, they often use standard modules in their engineering solutions that can be easily and quickly replaced in urgent situations. When everything is complete, you should definitely organize test games. On average, 20-40 teams is a test period. Set aside time and resourses for testing before admitting your first paying guests. Once you open to the public, your escape room should work perfectly. The more engineering you have in your escape room, the more likely it is that you will experience technical breakdowns. That’s why every prop and element must be inspected and tested in practice. If you remember the attitude of some players to your rooms, you can imagine how difficult is to combine durability with tiny electronics and make it all work flawlessly through at least 1,000 games. While you’re running your game tests, and if your country’s legislation allows it, you definitely want to add to the overall experience by decorating the common areas of your business. If your common areas are decorated well, players will get a great first impression when they enter your business. Experience has proven that a major part of sales for escape room owners comes from recommendations and positive feedback. Customers are much more likely to recommend your escape game to friends if they start feeling immersed the moment they arrive. Also, decorating your common areas gives you additional opportunities to make money. A themed common area allows you to host corporate and private parties. It is also an essential zone for photo sessions and spoiler-free dissemination of information about your escape room in marketing materials and social media. Escape rooms are created for emotions, and they need to be sold through emotions. Distinguish yourself from your competitors. What do you do that makes you unique? Study your competitors’ successful marketing practices and ask yourself how you can do the same thing, but better. For a list of creative ways to market your escape room, check out 21 Ways to Sell More Escape Room Games. Once you’re open, the best success indicator is the number of people signing up for your escape rooms. Try out different marketing campaigns and improve upon the strategies that result in a boost in sales. Never assume you’re finished testing marketing strategies. You can always do something even better than you did last time. Most importantly, your sales will depend on positive reviews. Make sure your rooms are unique, fun, challenging, and immersive. Focus on providing outstanding service. A great experience becomes its own advertising. One other tip: If you plan to target tourists, you might consider designing your website, social media posts, and even escape room materials in several languages to accommodate customers who don’t speak your language fluently. It is also important to make sure you include detailed information about your location on your website. Including additional tourist-friendly information about your neighborhood, city, and country provides an extra layer of service without costing you anything. Foreign customers will appreciate your efforts and remember your assistance when it’s time to write a review. The most important member of your staff if your game master. The game master is the face of your company. He or she communicates with customers, prepares them for their adventures, congratulates them when they succeed, helps solve their problems, and more. At least 50% of your players’ impression of your business will depend on how they feel about the game master. Make sure your game master is well trained and understands the importance of the immersive fantasy business you’re in. If you have multiple rooms running simultaneously, you’ll also need operators who can reset each room, monitor the games from the control room, and provide hints when necessary. If you have three escape rooms in your location, you should probably have at least two operators. Assume you’ll need one or two operators if you have two escape rooms. If you have only one room, you can get by with a single operator (or the game master doing double duty). You will also need someone to handle accounting records. Perhaps you will do it yourself. Though the process may seem difficult, the time from idea to opening can be as short as two months. If you order a ready-to-use escape room that requires only installation, you will manage to do everything quickly. While you wait for the manufacturer to build your escape room, you can find and prepare your location, get your marketing going, and hire your staff. All of this can be completed during the first month or month and a half. The rest of the time, you’ll spend installing and checking everything, organizing test games, and preparing for your grand opening. 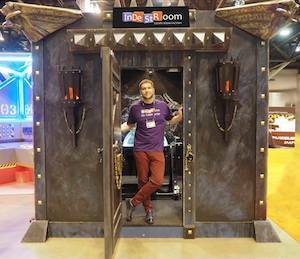 Alexandr Girshfeld is a co-owner of Indestroom, owner of 10 escape rooms in different ER chains. More than 150 scenarios written personally and in collaboration with professional writers, over 500 read and edited scenarios. Indestroom is one of the largest manufacturers of ready-to-use escape rooms currently in operation. The company provides clients with all the elements necessary to open a new escape game business and delivers to any country. The company was founded in 2014 by the owners of an advanced network of 50+ escape rooms. Since then, Indestroom has built and shipped over 300 high-tech escape rooms to entrepreneurs in 35 countries around the globe. With a fully equipped 18,000 square-foot production facility and over 60 highly skilled and experienced specialists, Indestroom can produce up to eight ready-to-use escape rooms within one month. 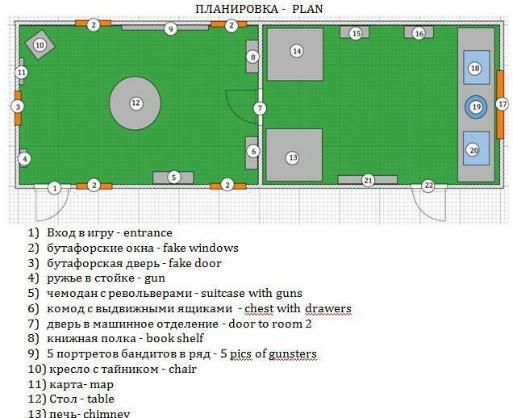 You can choose any escape room or gadget from the Indestroom catalogue, or you can order a unique room according to your own scenario. Indestroom can adjust the difficulty level depending on your market and produce custom and unique designs, puzzles and solutions. When you order an escape room from Indestroom, you receive everything you need from A to Z. All you need to do is prepare the facility according to our schemes and instructions. You will receive equipment and decorations that are completely ready for easy installation.